Here is my epic pizza of win. 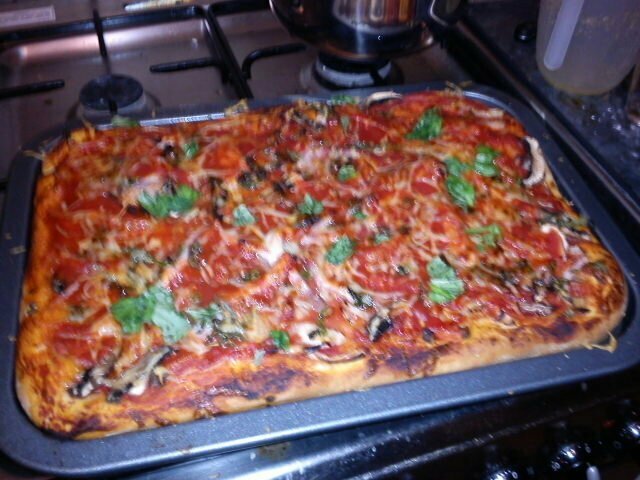 Home made dough, passata, basil, mushroom, bacon and parmesan. .